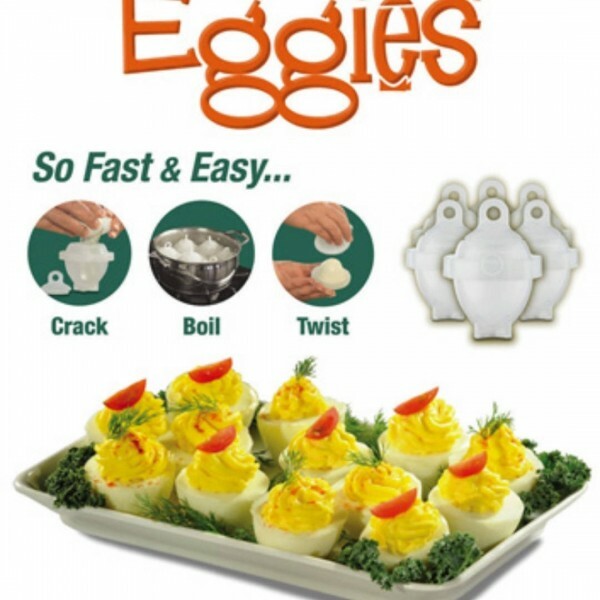 Egglettes are egg shaped containers made up of silicon that helps you cook hard boil eggs without the shell. Eggies help you make hard boil eggs without the hassle of peeling the shell. Eggies do the job of cooking hard-boiled egg and peeling off the shell later much more easy by making shell less hard boiled eggs. Egglettes: Pour the cracked egg into Egglettes cooking cup and let it boil. Serve the hard-boiled egg when it gets ready. Eggies: To cook hard-boiled egg in Eggies, first you crack open the egg, pour it into eggies and let it boil on the stove top. When it is cooked twist open it and you have perfect hard-boiled egg ready to eat. Eggies: They are made up of plastic. Egglettes are dishwasher safe and easy to clean. Eggies: Since they are made up of plastic the egg tends to stick to the inside of the containers and becomes very hard to clean. It is built in such a way that it is possible to check when the egg is fully cooked. Also, you can add ingredients of your choice before placing Egglettes in the water. The cooking may take long time and still you may find runny eggs. Though Egglettes are said to be made up of non-stick silicone, eggs tend to get stuck to the inner walls of the silicone cups even if the oil is sprayed, leaving a substantial portion of egg whites in the cups. Thus making it hard to clean, even in the dishwasher they do not come clean. They are rough outside and unattractive. They are hard plastic that screw together. The problem with Eggies is that it leaks the egg while it is in the boiling water, causing a mess to the pan, and losing the egg white. In addition, the eggs do not come out easily. It takes longer to cook.as well as a lot more time to clean the individual cups, even when you spray them with non-stick. The closest competitor to Egglettes is Eggies. Egglettes are slilicone egg shaped containers that claim to make hard-boiled, soft boiled and mini-omelettes without the shell. 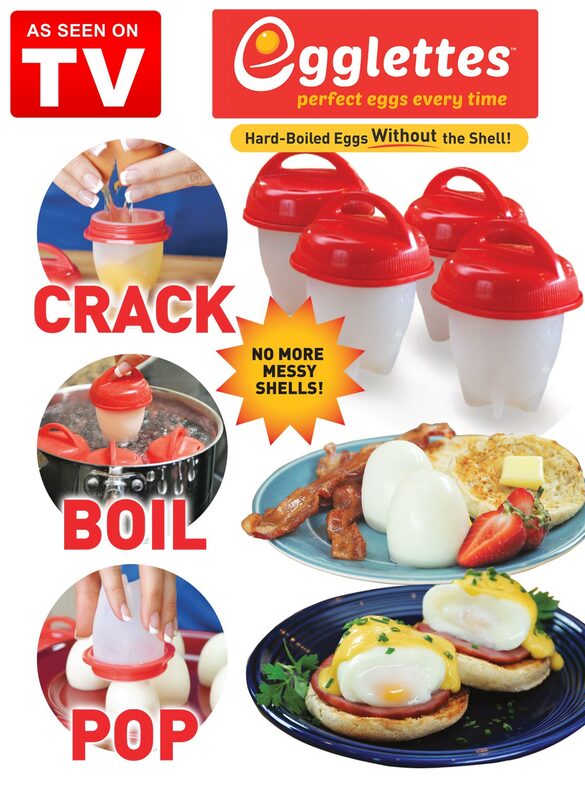 It has a rating of 3/5 with only 2 customer reviews while Eggies claims to cook hard-boiled egg where peeling is easier because of shell less hard-boiled eggs. Eggies has a rating of 3.2/5 with 205 customer reviews. Egglettes are easy to clean whereas Eggies are made of plastic so the egg sticks to the inside of the containers and becomes very hard to clean. The price of Egglettes is $15.74 and Eggies is $10.99 respectively. Do visit the review section and read the reviews before making a purchase. Be the first to comment on "Egglettes vs Eggies | Compare As Seen On TV Cookers"